The glove is almost finished. In order to give it a final touch, we pull it on hot metal hands and meticulously fit them to the right shape. 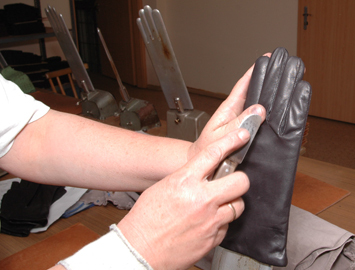 If your glove needs extra shine, we iron is with a small iron.